-- Could the Knights (21-14) muster a repeat of their amazing shooting three nights earlier in a come-from-behind win over Prairie View A&M in the First Four? No. Fairleigh Dickinson shot 30 per cent and went 6 for 21 from 3-point range. Its star from the win, Darnell Edge, had trouble getting any looks, let alone good ones. He went 2 for 11 for seven points. -- Would the Bulldogs feel any lingering aftershocks from their unexpectedly ugly loss to Saint Mary's last week in the West Coast Conference final? No. The nation's highest-scoring offence this season could've picked its number in this one. Few started emptying the bench at the 8:30 mark. 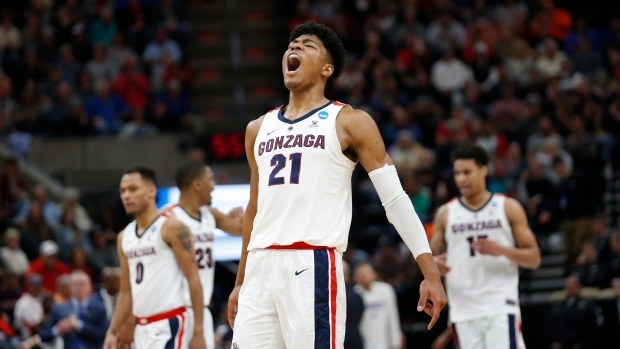 Gonzaga is the only team to beat Duke and Zion Williamson at full strength this season, helping explain why the Bulldogs are the second favourite, at 5-1 behind the Blue Devils, to win it all. They put to rest any questions about whether they belonged on the 1 line over, say, Michigan State -- a debate that picked up a bit of steam after the Saint Mary's loss. Gonzaga plays its second-round game against the winner of Thursday's late contest between Syracuse and Baylor.